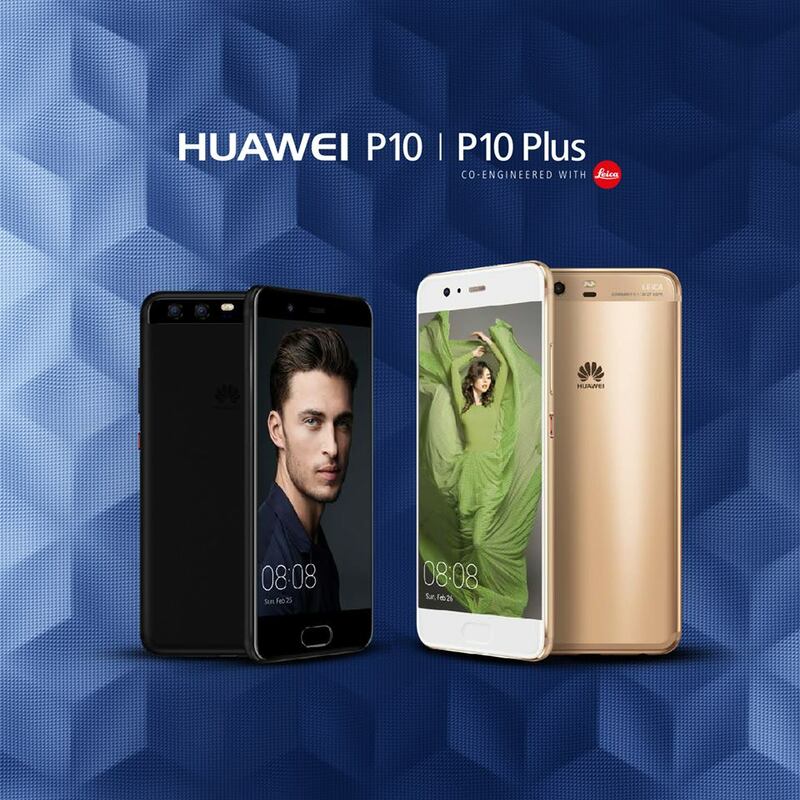 After numerous leaks, Huawei took the wraps off of the P10 and P10 Plus. These phones are successors to last year’s praiseworthy P9. They bring back the basic components which made the P9 great and have added to that formula to make a seriously compelling offering. The 5.1 inch P10 has 1080p display while the larger P10 Plus has a 5.5 inch 1440p display. Both smartphones have Android Nougat on board with Huawei’s EMUI 5.1 skin. The devices run on Huawei’s own octa-core Kirin 960 (4 x 2.4GHz, 4 x 1.8GHz) processors and come with 4GB RAM and 64GB built in storage along with microSD expansion (6GB RAM and 128GB ROM for the P10 Plus). The P10 has a 3,200mAh battery and the P10 Plus has a larger 3,750mAh battery. The P9’s claim to fame was the pair of Leica branded cameras. Leica makes a return on these new phones on both the front and rear cameras. The dual camera setup is made up of a 20MP monochrome sensor and a 12MP colour sensor. The monochrome sensor is used to capture light and sharper detail whereas the secondary sensor is used to add in colour. The P10 Plus has an arguably better camera than the P10 as the P10 Plus has a f/1.8 sensor compared to the P10’s f/2.2 sensor. This means that the P10 Plus should be able to capture more light and offer better low light images. The front facing camera is an 8MP unit with f/2.2 aperture and comes with a new feature that automatically detects how many people are in a selfie and switches to a wide angle view. The body of the phones look similar to the P9 but have a number of notable changes. The sides and corners are now rounded and the fingerprint scanner has moved to the front of the device. This scanner also acts as the home button and can be swiped or tapped to access back, home and recent apps. So far everything seems impressive but Huawei has a final card up their sleeves that really got us intrigued. They claim that apps on the P10 and P10 Plus launch 20% faster than competing smartphones. Huawei credits this to the use of intelligent machine learning which uses a behavior based compression mechanism to compress seldom used apps and recycle the phone’s memory faster. This is exactly the type of optimization that we want to see going forward in the Android ecosystem. For too long the focus has been on the spec sheet. We want to see companies make their devices faster and smarter through the use of software so that devices perform smoothly in the long run. The P10 will cost 649 Euros ($685) and the P10 Plus will cost only 50 Euros more at 699 Euros ($738). The devices will begin shipping in March and will be made available in Australia, Europe, Malaysia, Mexico, New Zealand and many more countries. Stay tuned for more updates on the P10 and P10 Plus as details become available.